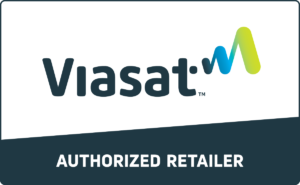 Viasat is the leader in satellite internet with speeds up to 50mbps and highspeed priority data up to 100gb! Starting at $50 per month with a 2 year price lock! HughesNet Gen5 is faster than ever, with download speeds of 25 Mbps on every plan. Four new service plans to best suit your specific needs and they each come with free off-peak data! Featuring the latest Wi-Fi standards and technology to easily connect your wireless devices throughout your home. •Play Four Channels on a Single Screen.